Our blog series Loyalty Rewards 101, is all about exploring the latest research on loyalty rewards programs, and helping you understand exactly how a Tecmark Loyalty Rewards Program can benefit your C-stores! 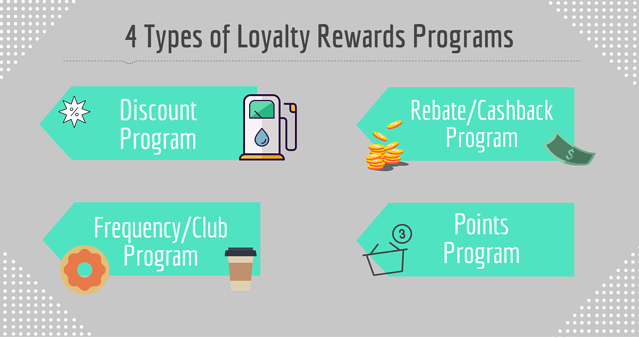 This week we are breaking down the four main types of loyalty programs. Understanding the different types of loyalty programs available to you can help you decide what is best for your C-Store. A Tecmark Loyalty Program is designed to fit your needs! Tecmark wants to help you get started on planning your perfect loyalty rewards program today! Contact us to request a demo, download our whitepapers, and check out all that we can offer your C-Store!